Futures Tennis has been recognized by Tennis Australia as a national multi-award winning Newcombe Medalist. We have thirty years of experience and history. As one of only fifteen nationally recognized Hot Shots mentors we are considered "Hot Shots" specialists. Among our venues we have the largest community club in Victoria offering modern facilities with a vast selection of services & programs. Convenience & comfort! We're large enough to cater for your every need, but small enough, to know you by name. 2010 Winner Tennis Coaches Association of Victoria "Club Coach of the Year"
2011 Winner Victorian Tennis Awards "Most Outstanding - Hot Shots Excellence"
2011 Winner Australian Tennis Awards "Most Outstanding - Hot Shots Excellence"
2012 Winner Australian Tennis Awards "Most Outstanding - Club Coach Excellence"
2016 Winner Australian Tennis Awards "Most Outstanding - Club/Centre East Malvern Tennis Club"
What we believe & value? We believe in inspiring the next generation of tennis players, and particularly, pride ourselves on developing and growing participation at the grassroots level. 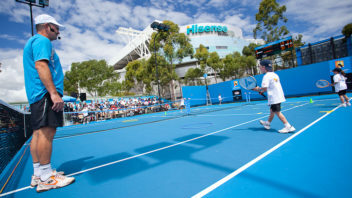 Therefore, our goal, is to develop family friendly community tennis hubs where people come to play our great game. 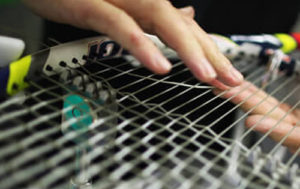 Furthermore, since playing tennis requires a range of "life skills" we also believe tennis enhances peoples lives . Obviously tennis is about developing a players technical, tactical, physical and psychological skills, but, it also develops the social, emotional and behavioural skills as well. The sport of Tennis commenced in Europe, at the end of the 11th century, when players first hit the ball with the palm of their hands. After 800 years, to this day, it remains a truly unique world leader in sport! Lastly, since 1973, we have had the first professional sports people paid to play with equal pay for male and females, right back when a young Aboriginal girl called Evonne Goolongong from outback Australia became the first mother to be crowned the number one player in the World. What an amazing sport! This is why we love the game and this is why we promise to promote and foster it at every opportunity. 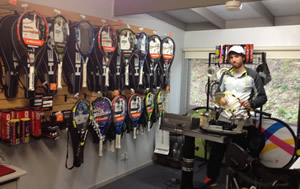 We have been at Futures Tennis Academy for more than 6 years now and we love it. The coaches are terrific with children, kids develop the correct techniques from the beginning and they are taught all aspects of the game. 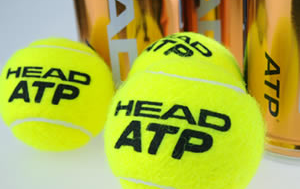 I would recommend this academy to any child that wants to learn how to play tennis. 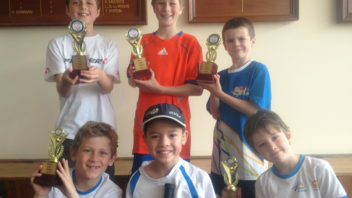 Our family of three have all been coached by Futures Tennis at the East Malvern Tennis Club for about 5 years now. We all love it! The professionalism, dedication & skill of the coaches is second to none. Coaches are always enthusiastic, punctual and relate to both kids and adults alike. They are keen to help us improve our technique and strategy of the game, whether beginners like our kids or a more advanced adult like ourselves. James was rapt with his new racquet from your Pro Shop and his coaching this term - we are so glad we joined! He said he wants to become a champion now - not bad for a 5 year old! Please pass on our sincere thanks to his coach. Thanks for equipping our son and daughter with a love of the game like us! They have a great technique that will put them in great stead throughout their tennis life - we now enjoy all playing as a family. I’m sure Rachael has let you know she has made the Caulfield Grammar Girls’ 1st tennis team. That’s a big congratulations to you and your coaches. Her challenge was to compete against both her Elsternwick and Wheelers Hill Campus’ for a place. She’s been nominated as the 7th player out of 12. She’s so proud, and it’s lovely to see her so keen, and inspired. Hugo has been enjoying his lessons throughout the year. We enjoy watching him having fun with his coach and the peers, and improving his skills at the same time. We really appreciate your staff’s effort, and looking forward to coming back next year. Wishing you all have a fantastic holiday season. 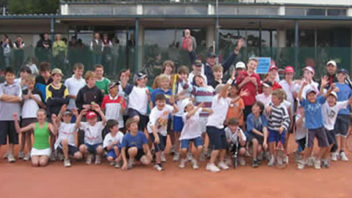 We start kids Tennis Futures! We start kids Futures with a FREE introductory assessment lesson.